(FASTNEWS|COLOMBO) – Warner Bros. 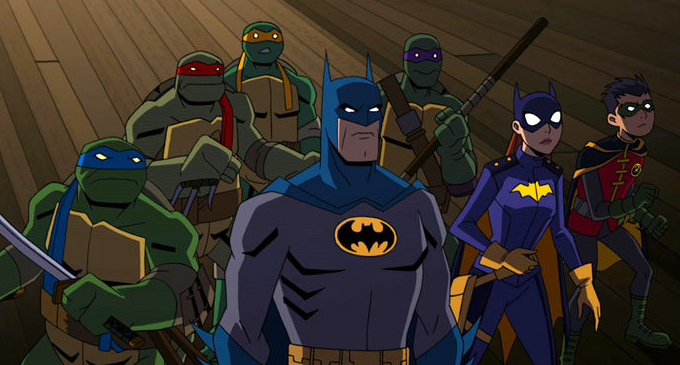 Animation and Warner Home Entertainment are collaborating together with DC Entertainment and Nickelodeon for the brand new animated film “Batman vs. Teenage Mutant Ninja Turtles”. The project will be based off James Tynion IV and Freddie William II’s comics miniseries combining the two franchises. The story follows the turtles meeting Batman for the first time via a transdimensional encounter, and they all team up to face Batman’s deadly rogues gallery. The voice cast will reportedly include Troy Baker as both Batman and The Joker, Tara Strong as both Harley Quinn and Poison Ivy, Darren Criss as Raphael, Kyle Mooney as Michelangelo, Baron Vaughn as Donatello, Eric Bauza as Leonardo, Rachel Bloom as Batgirl, John DiMaggio as Mr. Freeze, Tom Kenny as The Penguin, Cas Anvar as Ra’s al Ghul and Carlos Alazraqui as Bane. The animated film is expected to be released sometime this spring on 4K, Blu-ray and Digital.